To align with the industry best practices for security and data integrity, SAP SuccessFactors plans to discontinue the support for TLS 1.0. If you have SAP SuccessFactors extensions on SAP Cloud Platform, please check bellow if your application will be affected by this change and ensure that you take the recommended actions in advance to avoid disruption of your services. Which applications are not affected? The change may affect only Java applications. HTML5 applications will not be affected and will automatically adopt this change and will switch to a higher version of the TLS protocol. Java applications that run on JRE 6 or JRE 7, and use the HTTP Destination API to create HttpClient for making calls to SAP SuccessFactors APIs. Java applications that run on JRE 6 or JRE 7, use the ConnectivityConfiguration API, and do not explicitly specify any TLS version when establishing connectivity to SAP SuccessFactors APIs. In this case you need to change your application to use higher protocol version or not to use any specific version at all (SSLContext.getDefault()) and then re-deploy and restart it after July 27. 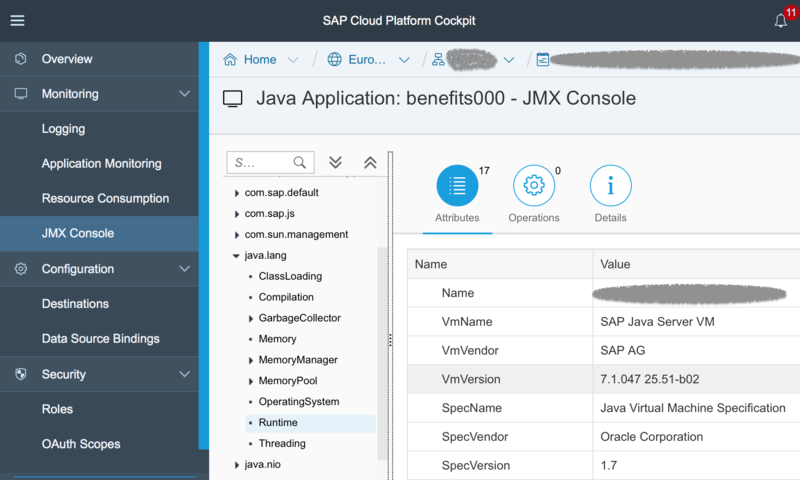 Java applications that use any other libraries and APIs to establish the connectivity to SAP SuccessFactors APIs. In this case you need to ensure that those libraries support TLS 1.1 and TLS 1.2 and that you do not explicitly use lower protocol versions in the source code. For more information on the 3rd party support see the SAP SuccessFactors announcement. Unpin it to use the latest SAP Cloud Platform runtime version that has support for TLS 1.1 and TLS 1.2 after July 27.